Social entrepreneurship coupled with innovation at the grass roots level can empower those who are at the bottom of the socio-economic scale. This creates a ripple effect that brings positive change for the entire society. To create awareness about such change, PEP Foundation, through its initiative, Impact network organized orientation sessions on Social Innovation and Entrepreneurship in 9 partner SSBCs. These sessions were aimed at informing university students about what social innovation is and why it is important. These sessions also aimed to raise awareness among students about how they can become social innovators. These sessions were organized at University of Sciences and Technology, Bannu; Pakistan Institute of Fashion and Design, Lahore; Mehran University of Engineering and Technology, Jamshoro; Shah Abdul Latif University, Khairpur and COMSATS University, Islamabad. SSBC-PIFD announced a call for business startup applications in mid-October and received applications till 30th November. A total of five (5) applications have been shortlisted and finalists will be meeting the SSBC team in the coming quarter. To increase awareness, the Student Startup Business Centre, PIFD organized a training on youth-led change making and social entrepreneurship at the PIFD campus. The purpose of the training was to establish a core team within PIFD comprising of students and faculty who possess relevant skills to advance the concept of youth-led change making and social entrepreneurship within PIFD. The training provided the necessary knowledge, skills, connections and resources to participants to enable them to play an instrumental role in building an effective eco system for the support of youth-led change-making and social entrepreneurship. The Business Incubation Center at University of Agriculture Faisalabad organized the “Student Startup Business Competition 2018”. For this purpose, 23 students submitted their proposals, a scrutiny committee comprising of Dr. Waseem Ahmad, in-charge BIC, Dr. Khurram Zia, Assistant Prof, ORIC and Mr. Imran Munawar, Res. Officer shortlisted 13 proposals for the presentation. After the presentations, the panel of judges decided to award PKR 300,000/- to Mr. Ali Badshah. He has recently completed his DVM degree and intends to start a business related to Pet Grooming. Mr. Kaleem Ullah (Manager Community) and Syed Mesum Ali (Assistant Manager Finance) from National Incubation Center visited Office OF Research Innovation and Commercialization (ORIC). The prime objective of this meeting was to discuss avenues for collaboration. An application call was announced for the third batch of SSBC Virtual University. Out of a total of 63 applications received, 4 business ideas have been selected for incubation after initially shortlisting 52, then further shortlisting 21 and holding pitching sessions for 13 applicants. The KP Impact Program is especially designed for the youth of the province and government will provide funds in the form of grants. In this regard the first training was held at SSBC University of Science and Technology Bannu. Under this program, 30 students from Peshawar, Mansehra, Swabi, Bannu, D.I.Khan and Lakki Marwat were trained for their entrepreneurial journey. 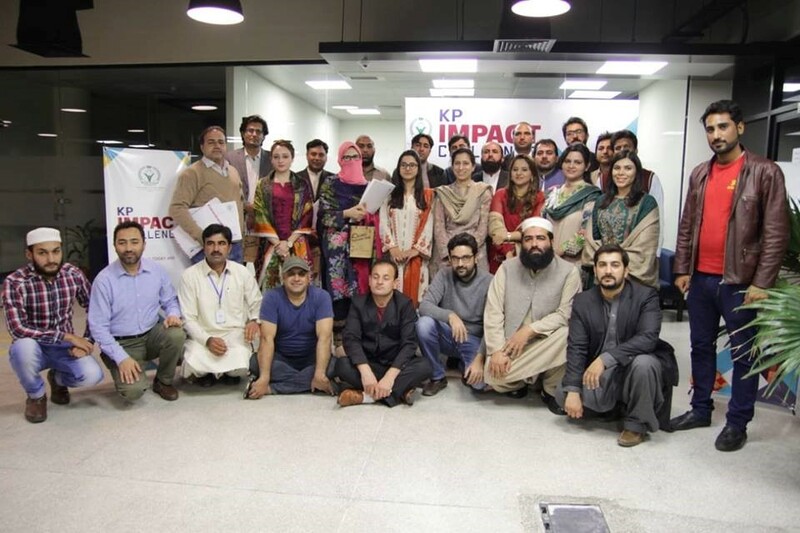 Through this program, 3 students from BBA and 3 from MBA were shortlisted to launch their businesses with the support of the KP government through appropriate funds. SSBC University of Science and Technology Bannu organized a one day Seminar on online business and the modern techniques of Digital Marketing on Dec 17th, 2018. For this event, a renowned speaker Mr. Farid Khan was invited as a guest. He is qualified from State University of New York, USA and currently working at Hewlett Packard Enterprises USA. He is also the acting Managing Director of Infinity software house. The resource person gave detailed information about the current job scenario and the available online sources as well as the potential in online marketing. KARAFARINSHOW 2018 was held on 10thOctober, 2018, wherein a platform was provided to students of COMSATS University Islamabad to Pitch their ideas and connect with entrepreneurs from Iran, Turkey and other regional countries. Around 350 students and entrepreneurs took part in the event. 20 shortlisted student groups were shortlisted for final pitching presentation. Around 18 evaluators from Iran, Pakistan and Turkey reviewed students’ ideas. The first prize of an award of Rs. 50,000/- was won by COMSATS University students SalSabeel Kiani, Shaina Laraib and Naufal Mansoor. As per the decision of SSBC Management Committee, the Executive Director Mr. Muhammad Raza Ahmad Khan awarded initial funding to startup DIY4TECH for product development on 23rd October, 2018. The startup Coolie 2.0 collected their 2nd financial award cheque from SSBC on 15th October, 2018. Innovation and Entrepreneurship Centre, Mehran UET, Jamshoro invited Mr. Nauman Khan Azeemi and arranged a session for startups on ‘Design Your Life’ on October 15, 2018. Mr. Nauman is Pakistan's first certified transformational and leadership coach, quality award winner, best selling author, an International businessman, transformational speaker, certified personal coach and leadership trainer. He is based in Chicago, IL, USA. The session was attended by startups and faculty. The session was kept open to all for MUET affiliates. Innovation and Entrepreneurship Centre, Mehran UET, Jamshoro participated in LAAR Science Festival 2018 in district Thatta on December 14, 2018. Startups at IEC were taken to the festival where they exhibited their prototypes and their entrepreneurial ventures. IEC stalls were visited by Senator Ms. Sassui Palijo. She admired IEC and wished to visit the centre very soon. Mr. Farhan Ahmed Memon, Program Officer, RINU project represented IEC in the festival. Promotion of Education in Pakistan (PEP) Foundation will follow up with all the participant universities to formally develop and execute the work plan for the Annual Fundraising Week. The Annual Fundraising week is scheduled in the first quarter of year 2019. It was decided unanimously during the workshop. Though no such fundraising activity was organized during the quarter but an amount of Rs 42,500 had been contributed from donations of various individuals. 50% of the current balance of SAFE account would be invested in January 2019 and 50% will be available for grant of scholarships. A total of 8 students benefited from SAFE scholarships out of which 5 have graduated and one has been successful in securing a Government Job as school teacher and earning RS 30000/- Target for next six months for fund raising would be RS 500,000/- for which activities are being planned for March 2019. University shared their progress and SAFE account balance, and will start providing scholarships to the students from the year 2019. Different fund raising initiatives were planned and executed since the start of the program. The students were provided training on raising fund/donations for the endowment fund and constituted fundraising committees (faculty, students) to raise donations from their fellows, alumni and friends and the community in general. The scholarship statistics are 9, 10, 12 and 14 for 2015, 2016, 2017 and 2018 respectively. So far the fundraising office has submitted the proposals to external donors for the upcoming events to be hold. How has this scholarship enabled you to realise your dream? My father died in 2015 and after that we had to undergo severe financial crisis. It was not easy for me to continue my studies, but then I was blessed by an opportunity. I applied for scholarship and SAFE provided me with a great platform. SAFE awarded me a scholarship till the completion of my degree and paid my semester fees. I was happy to be given a chance to continue my studies without the fear of not being able to complete my studies. What was your dream behind wanting to study this particular area? Since childhood, I used to be a reserved and shy person even though I did not share my problems with anyone. After college, I decided to opt for studying Psychology. I did it because I wanted to share the grief and sorrows of others. I wanted to become a psychologist to be able to relieve people of the problems that I used to face. I have achieved so many things in my life, but the greatest achievement was to get a job before the completion of my degree. I was in my last semester when I got a job. Right after the completion of my degree, I joined an NGO. Now, by the Grace of God, I am working as a psychologist. It was all because of SAFE, as it provided me an opportunity to complete my studies. Any message that you would like to give based on your experience? I just want to say that "never give up" - you should work hard to achieve your goals. It takes time, but things get easier and better. You should not stop working hard and believing in yourself. Work hard and one day you will be proud of yourself.